By Jennifer Burcke on June 2, 2013 Visit Jennifer's Website. Last Saturday, we woke up to temperatures in the low 30s. We worried if our sour cherry trees and the early season plants in our garden would survive. We were relieved when the temperature rebounded the next day to the 70s and a brief survey of the farm proved that our plants were no worse for wear. Fast forward to today. There was no need to worry if the living things here at 1840 Farm would survive a near frost. Instead, it was more appropriate to worry if they would survive a heat wave. Today was our second straight day of temperatures in the mid 90s with withering humidity levels. Instead of covering plants to protect them from frost and hoping for sunshine, we were making regular rounds to the coop, barn, and garden with fresh, cold water and hoping for a little shade. The hens spent their days outside in their shaded runs. We regularly watered the ground in order to provide them a little relief from the cool water. As the water dribbled from the end of the hose, they took turns walking over the moist ground like children playing in a sprinkler on a hot, sunny day.We also took full advantage of the cross ventilation we built into the design of our coop. The back vent was opened to the full position, the front window was opened wide, and the side door was secured in the open position to capture any fresh, cooling breeze that might pass by. On my regular rounds, I replaced the water that had grown hot in the waterers in the coop and water buckets in the goat stall. The chickens and goats lined up for a sip of cool water each time I did so. When I visited the coops with frozen raspberries, they gathered at my feet as if I was a rock star. I learned this trick during a heat wave a few years ago. Since then, I always keep frozen berries, yogurt, and fruit popsicles on hand in the chest freezer in our barn. I know that in the heat of the day, I can provide cooling relief to the hens when the mercury climbs past their comfort level. The raspberries were a welcome sight to our heritage breed hens. They began pecking at the frozen berries, each hen staking their claim to their fair share of the berries. I was happy to watch as they enjoyed their treat and reduced their body temperature at the same time. Happily, our temperature is expected to return to seasonal levels over the course of the next two days. I will be very happy to see the daily highs in the 70s that we have come to expect here in New England during this time of year. I’m quite certain that the hens and goats will match my sentiment. The relief will be short lived. Summer and its heat will be here to stay in short order. No worries, we’ll be ready for the hot weather and armed with several strategies to bring relief to the animals that live here. I’ll share my favorites so that you can do the same. Monitor your animals closely during high temperatures. Heat can be stressful to the body, but a chicken keeper is an animal’s best resource during extreme weather. You can help your flock survive the temperatures and find relief from the heat. Provide adequate fresh water at all times. Animals, like humans, will require additional water in order to stay properly hydrated during hot weather. Replacing hot water with cool, refreshing water will go a long way towards keeping your flock cool. In very hot weather, placing water bottles containing frozen water inside the water container will help to keep your flock’s water cool. Use cross ventilation to help keep your coop cooler. 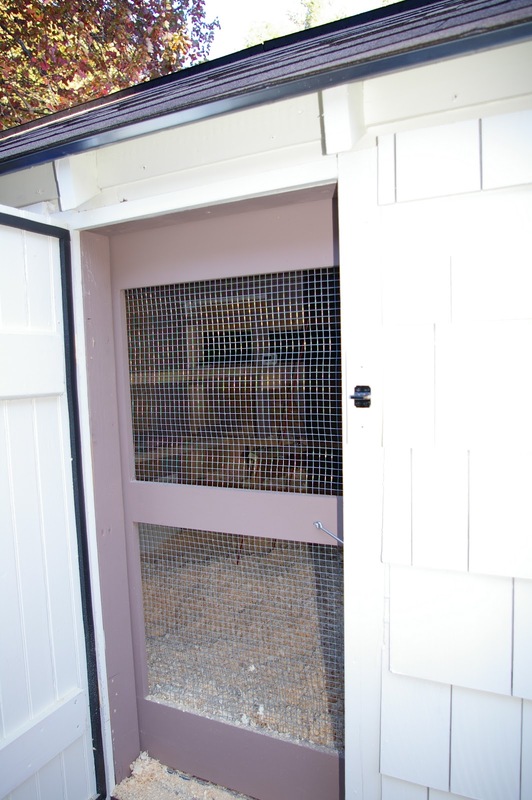 Our coop features an adjustable vent door on the rear facade that is placed at roost level. By adjusting it to the fully open position, the rising hot air can easily escape from the coop and our hens can have a bit of fresh air while roosting during the night. A screen door and window will also provide cooling, fresh air while still allowing you to secure the coop at night by closing the main door and window as needed. Provide your coop or run with shade. Ideally, your coop might be situated in a location that enjoys natural shade from a nearby building or tree. If not, a tarp or shade cloth can be securely fashioned over the run to provide shade for your flock. Alternately, a coop can be designed with usable space below the main coop. This space will always provide your hens with a shady spot to rest during the heat of the day. Provide cooling snacks for your hens. Watermelon is a popular summer treat here at 1840 Farm in addition to frozen berries, frozen chopped bananas, and fruit popsicles. With each bite, the hens are reducing their body temperature and cooling down from the inside out. Now you know my favorite methods for helping our hens survive the heat. I would love for you to share yours. I know that there are as many methods for tending a flock as there are people who tend them and there’s always something new to learn from a fellow chicken keeper.I’m hoping that you’ll share your favorite ways to bring relief to your hens during the heat of the summer by leaving a comment. 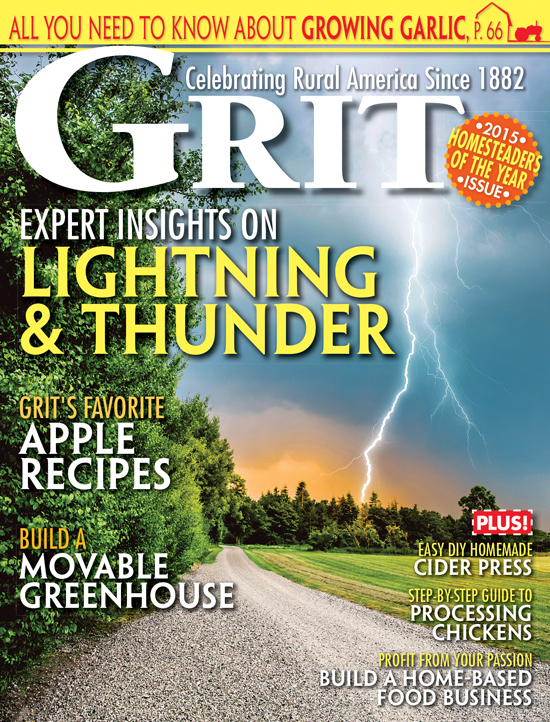 I’m sure that I’ll be adding a few new tricks to my summer survival list! Congratulations to Molly who was randomly selected as the winner of the Brinsea EcoGlow 20 Chick Brooder giveaway. There were over 6,700 entries by the time the giveaway closed. Thanks to all who entered. I’ll hope to be sharing another great giveaway with you in an upcoming post! 1. I have a fan inside the coop blowing out into the run. It removes some of the hot air from the coop while blowing air into the run. I have blocks of ice sitting in front of the fan out in the run. 2. Two frozen muffin pans of frozen ice are put in their water. 6. I made the DYI A/C and blow it under the roost. It helps them get to sleep until it cools down. 7. Are my chickens spoiled?????? -My coop and run were positioned so the whole structure is shaded after about noon. -The roof run is white corrogated PVC to reflect heat and provide shade. -I hang a fan on the outside of the hardware cloth and place large frozen water bottles in front of it in the run. The air cools as it blows over the ice. When it gets really hot, I have found my girls sitting or standing on the ice blocks. -My family enjoys watermelon often in the summer. I remove the rinds, leaving some melon behind, and freeze them. I place the frozen rinds in suet cake holders for the girls. 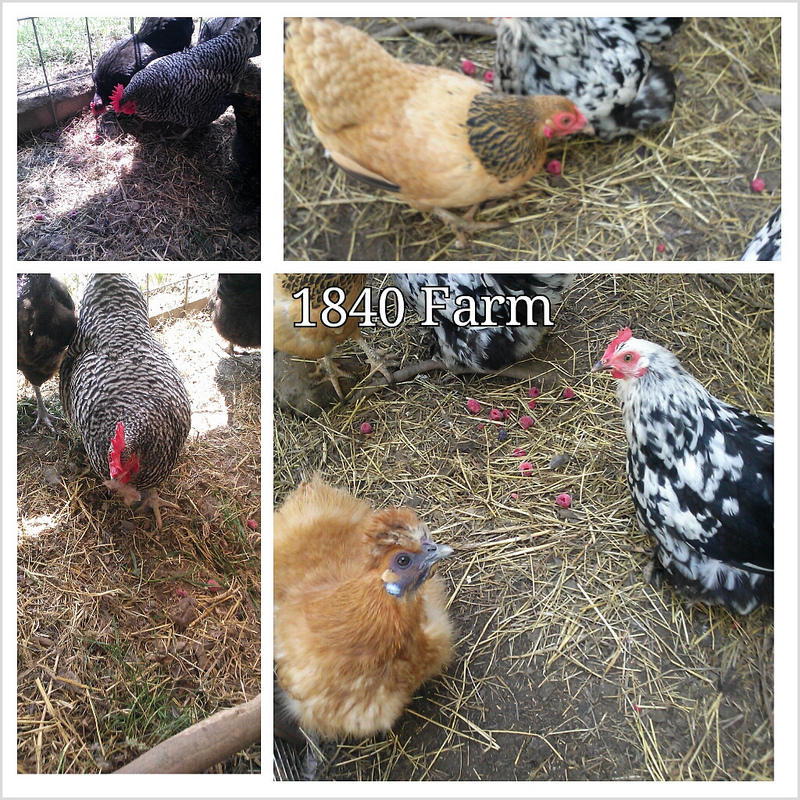 The holders keep the rinds off of the ground, and the girls seem to enjoy pecking at them. -I freeze water in 16oz. plastic cups. 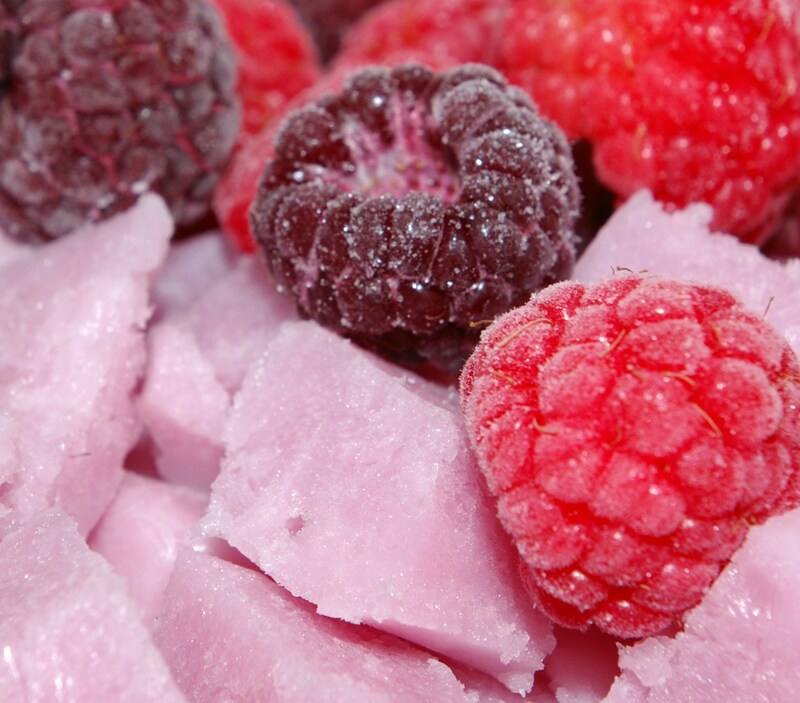 The ice blocks are easy to remove from the cups and the blocks keep the water cool longer than ice cubes. We are not far north of Surprise and already just over 100 degrees. Our garden is still doing pretty well, so in the morning I pick the extra squash blossoms, some of the snow pea vines, rose petals, some zucchini, alfalfa leaves, some cooked rice, chopped raisins, peach peels and add it all to the hens lay mash and scratch. They love it! I’m getting more eggs than before, even in the heat. I also mist them every hour or two and a section of the coop. So far all is good. I know it seems like a lot of work with their food, but it’s been worth it. In the afternoon, I cut oat grass for them and they can’t get enough. We also have burlap on the runs (we can’t let them free range because of the coyotes) and I wet that down and it helps cool them off. Last summer when it was so hot and dry, I set up a water park for my birds. I laid out a soaker hose on the grass under a couple of shade trees, and they hung out there until the sun went down. I have fed bananas in small quantities to my flock without any adverse effects. Our goats love banana peels and our milking doe gets one every morning as a reward for the fresh milk she provides. So, our 17 hens usually split one banana which they love. They can’t wait to get their little piece of banana in the morning! I thought bananas were not good for chickens to eat. Last time I fed strawberries to my chickens the egg count was way down the next day. Is fruit really that good for chickens? Could be a number of factors for the low egg count, I guess. So many factors can have an effect on egg production. Excessive temperatures are definitely one as is a change in diet. With all treats, moderation is key. A little fresh fruit, vegetables, or garden scraps are fine. Too many treats will reduce the amount of formulated layer feed that is eaten and can have an impact on egg production. If their egg production returned to normal rates the next day, I’d say that the culprit was the heat. That being said, the greatest chicken keeping tool you have is your observations of your flock and your instinct. So, you have to do what feels right to you! We hit 90+ today in the foothills of Albuquerque, and since I was defrosting the Big freezer, I put a bunch of frozen fruit, corn, etc out for my hens. T thank goodness the trees have fully leafed out so they have great shade.